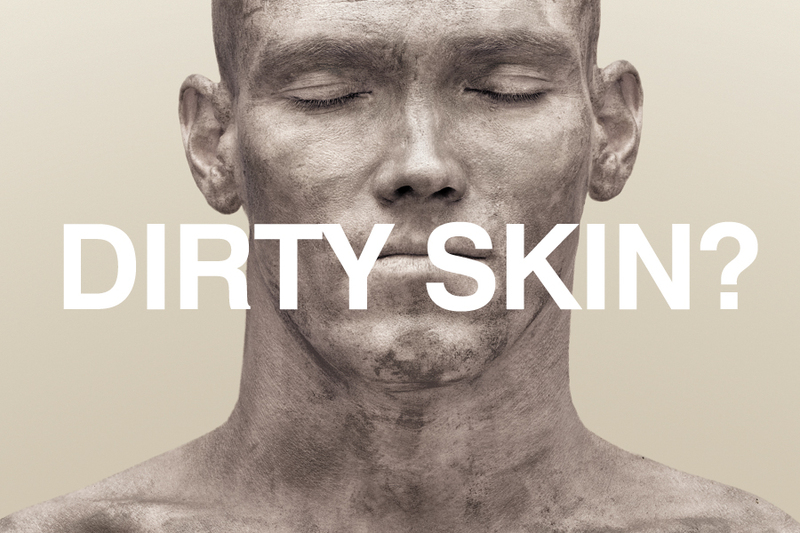 Australian Olympian Michael Klim wanted to create a natural skincare range using ocean minerals, in a product that would speak directly to men. He had the name Milk – Klim spelt backwards. He needed to build a brand around it. Focusing on transparency, simplicity and the idea of what you see is what you get, we created the distinctive Milk brand. 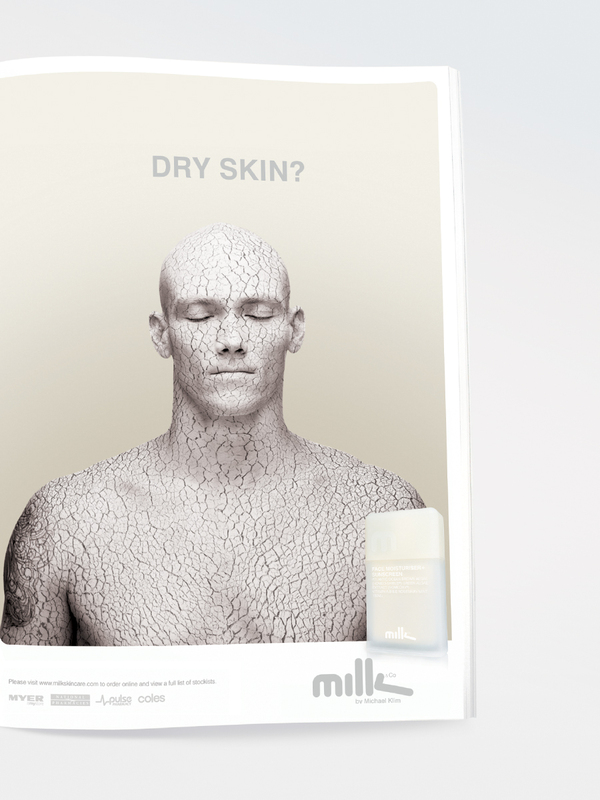 The brand mark and packaging (inspired by the masculinity of the base of whiskey glass) the visual language, key imagery and two word messaging were designed to make it very easy for men to ask themselves if their skin might need Milk to solve a simple problem for them. While Michael was able to use his celebrity profile to launch Milk, we were able to create a brand that could connect with customers its own right. 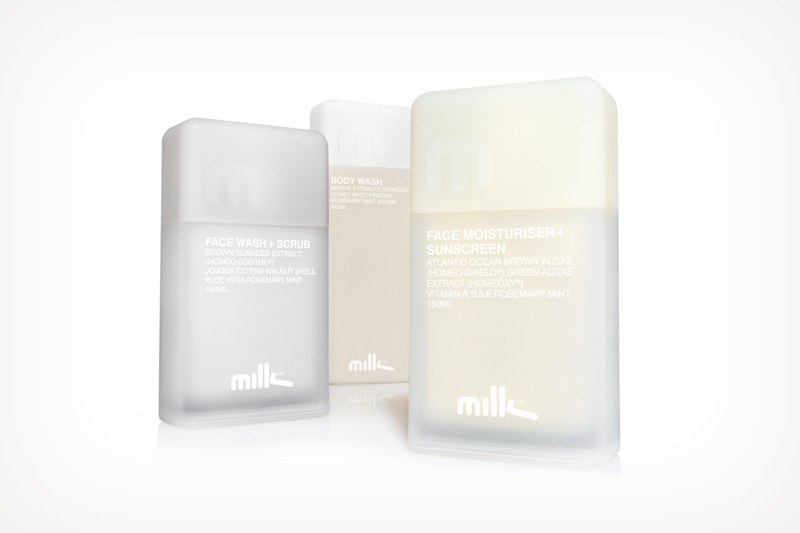 The brand has soared since its inception and Michael has taken Milk from a Melbourne based brand to an international success story. Michael Klim | Owner Milk & Co.